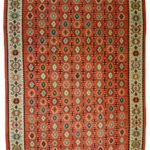 Afghan and Anatolian Kilims are generally quite cheaper compared to the antique and modern high quality carpets but they are getting more and more appreciated by the collectors who are always looking for quality and valuable artworks. Kilims are different from carpets and rugs, they can be used as a piece of furniture or as a decoration in every room of the house, but they are also perfect for prayer moments. Nowadays they are becoming really common in the western culture. 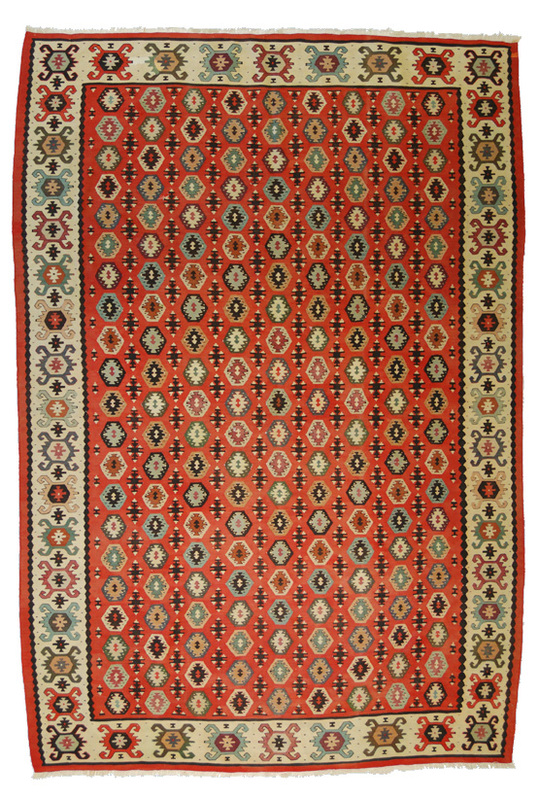 A common mistake is to believe that a kilim is kind of carpet or rug, it is instead a flat fabric or a wicker. 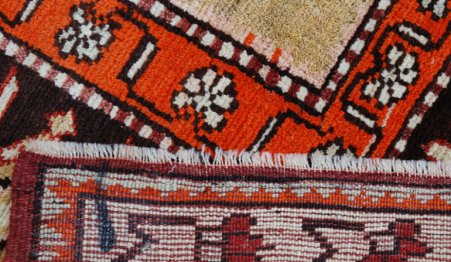 One big difference is that carpets are knotted, while kilims are woven. 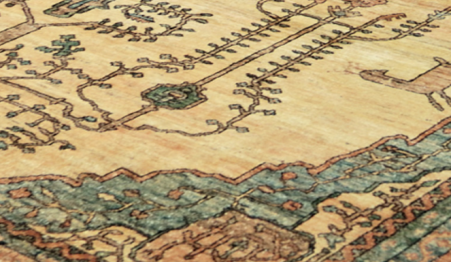 The knotless technique is the most used specially in the Anatolian antique manufactures. 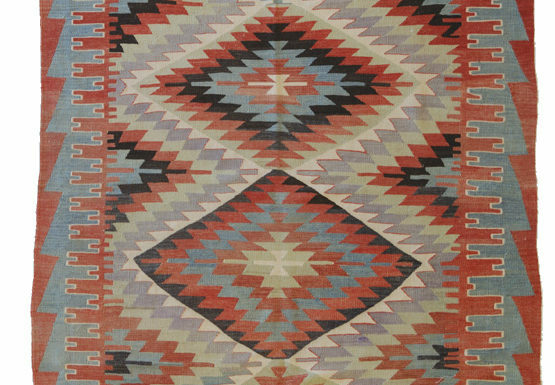 Kilims don’t have the warp but only the weft and for this reason they can be compared to tapestries, Cicim and Sumak. 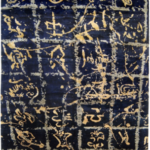 Sometimes it’s possible to find hand knotted carpets in which one extremity part is realized in the kilim style in order to protect the artwork by reinforcing a critical area. 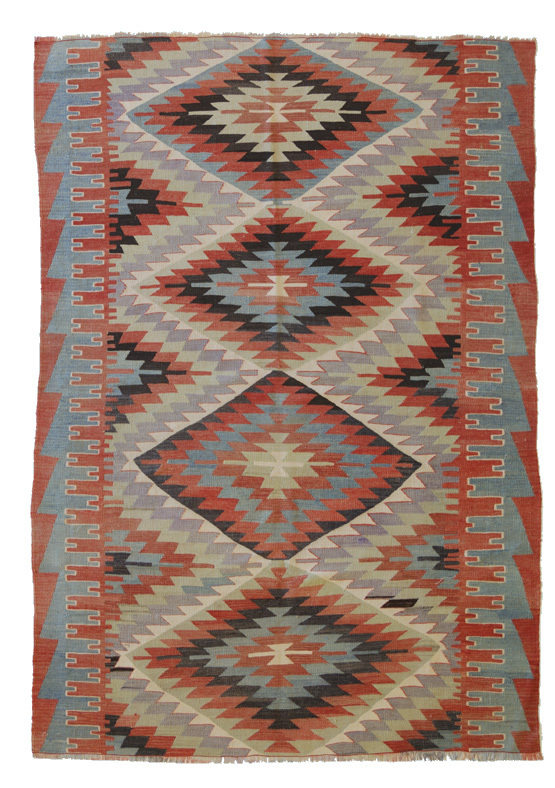 It’s important to say that the word kilim is Turkish and these manufactures can assume different names in other countries. In Iran for example they are known as Gelim (in Persian گلیم). 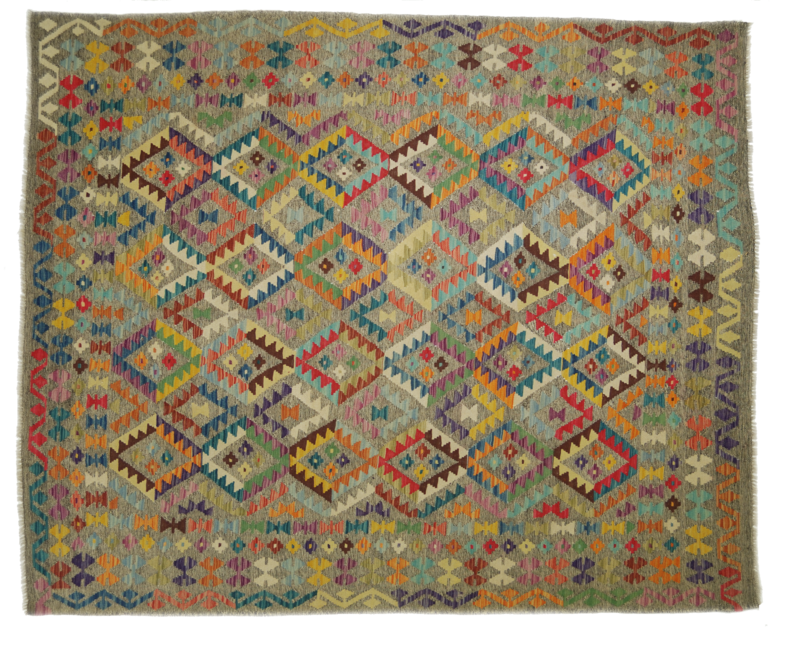 Kilim are woven form Balkans to the Far East and they are generally colourful with geometric drawings. 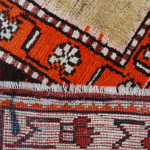 These two regions are the most popular for what concerns kilims and every village which gives the name to the artwork has enveloped different characteristics. 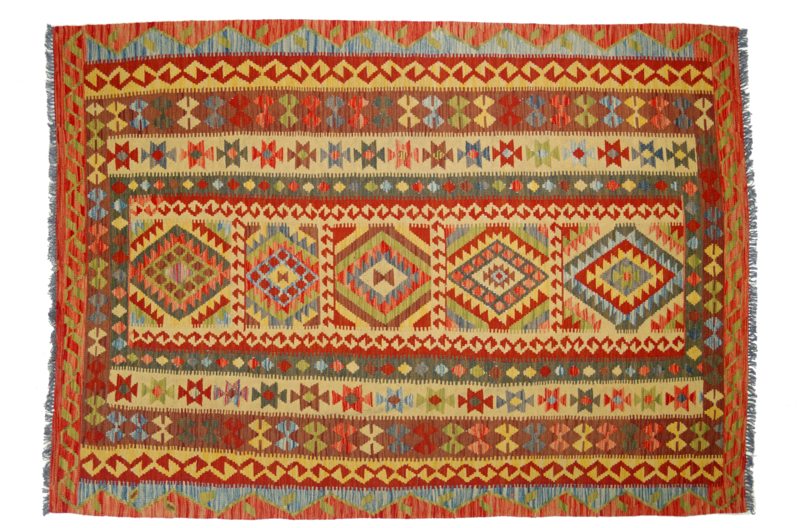 The best Anatolian kilims come from Obruk, Balikesir and Malatya while the most appreciated Caucasian ones are from Kuba. 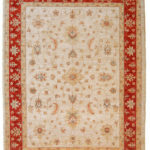 Morandi Carpets collection only include antique kilims like the ones with more kind of finishing. Kilim production is largely widespread in Afghanistan: these artwork are really beautiful and they are sold at interesting prices. 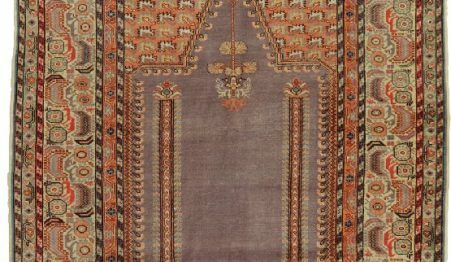 Unlike Anatolian and Caucasian kilim, the Afghans are more resistant and practical, in fact they better stick to the floor and are perfect for every room. 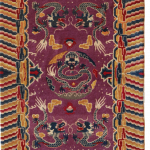 Afghan kilims are characterized by wonderful and original chromatic combination and during the working process a thin wire is added in order to make them stronger and more resistant. 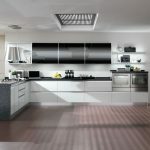 The result is that the separations are less evident in these artwork. Afghan Kilims are realized in every size and measure but in the Morandi Carpets store you’ll find only modern and contemporary productions.